We had heard about those lavish and extravagant punjabi weddings but never got a chance to truly experience it until recently. Evenings were dedicated to wedding festivities starting with the Dhol ceremony with unlimited drinks and dancing followed by yummy punjabi food. 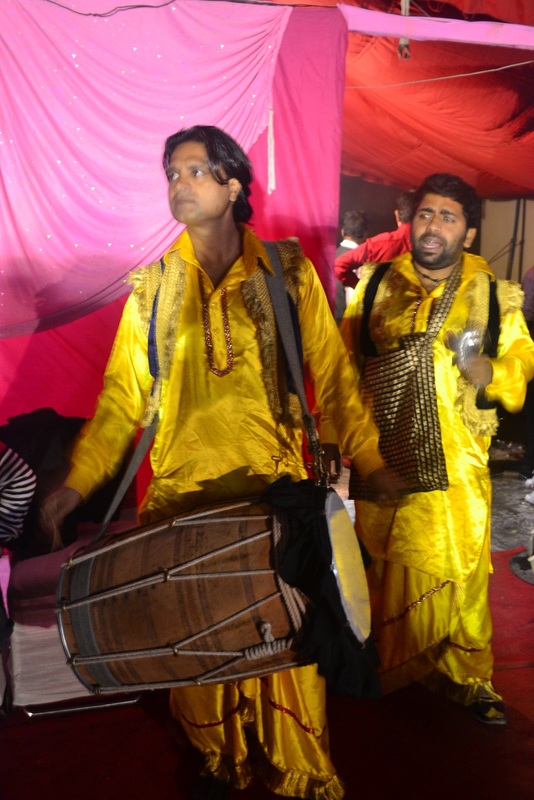 We noticed a lot of money being given away by the family members to the dhol artists and the servents during these festivities and in all subsequent ceremonies to avoid bad karma on the bride and groom. 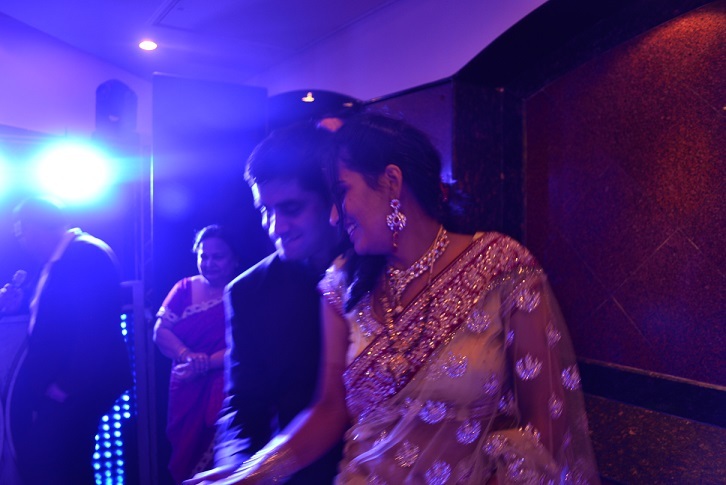 The sangeeth ceremony was like another party with a wide variety of starters, alcohol and lots of dancing. If you’ve noticed, food, booze and dancing are pretty much a constant across all these ceremonies. Finally, the bride to be and the groom see each other for the first time in many days and are pulled on to the dance floor soon after their families greet each other. The evening comes to an end with mouth watering food and desserts. 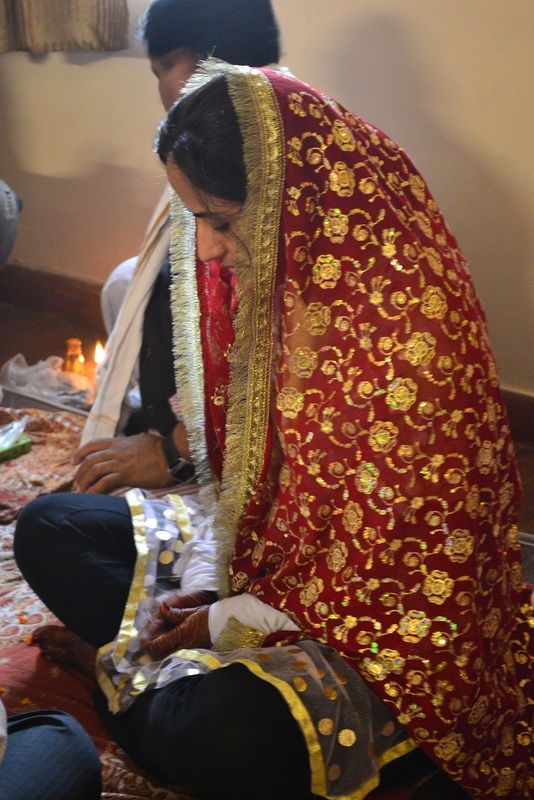 Things go into hyper mode on the main wedding day with the haldi ceremony (both the bride and groom are smeared with turmeric paste by their respective family and friends). 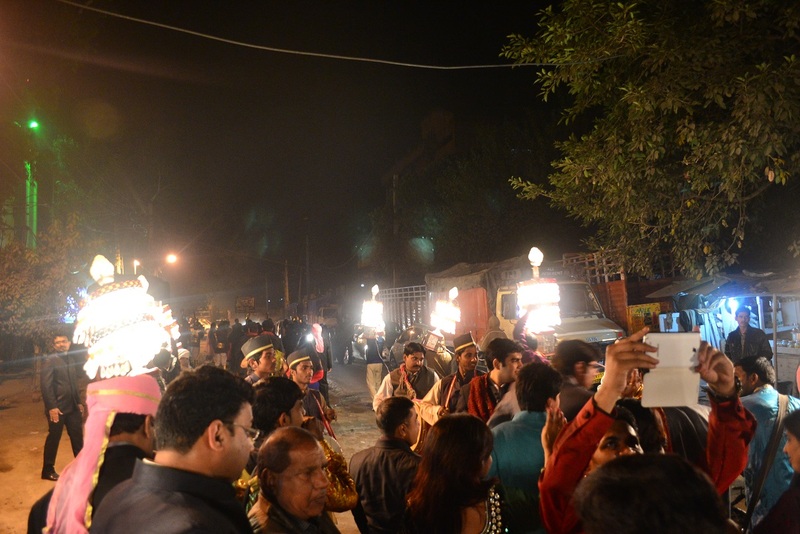 The women dash to the local parlor for their makeup session while the men ready their Kurthas and Sherwanis. The barath (groom’s procession) leaves the groom’s residence after some rituals (groom’s sister feeds the horse) and heads towards the wedding hall. The band leads the way playing popular tunes with the family members dancing all the way to the venue. At this point, we soon realized that it’s already 1am and the actual ceremony hasn’t begin. After a formal sit down dinner, the wedding ceremony begins at around 2.30 am. This is when we decided to wish them both and head back home since some of us were flying back the next morning. For someone living in the north, this may sound common, but for a south Indian where weddings are seriously boring affairs, this was surely an experience of a lifetime. Does make the entire experience of getting married more lively. 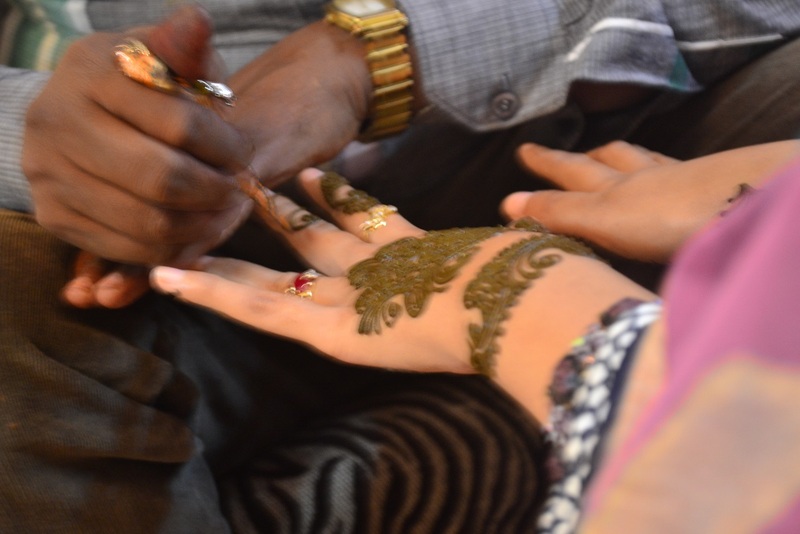 If you have a wedding experience to share with us in an interesting city, do write to brian.ammanna@gmail.com with pictures and we’ll upload them on our blog.